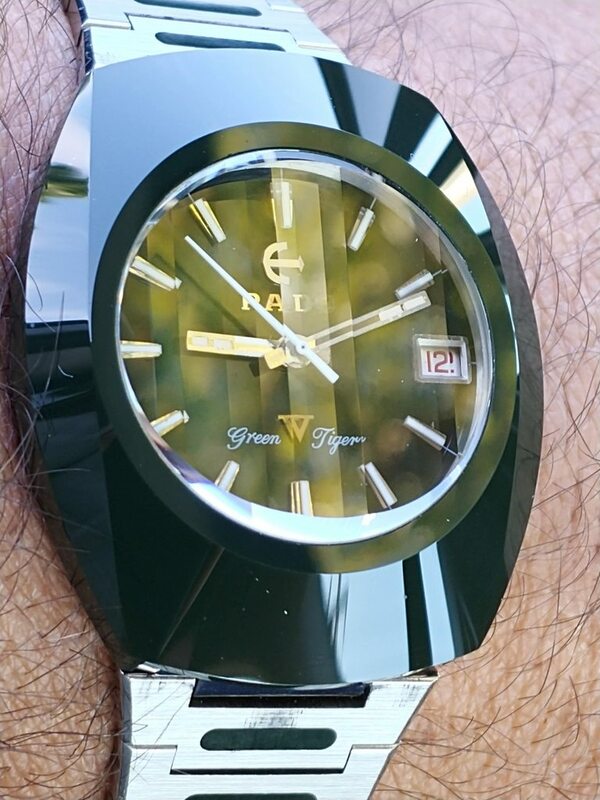 Hi all you Eotians, Friday again, let's see your watches. Exciting news this week with some CC MKII MK2's finally escaping the factory. I wonder who'll be the first one here to have one, I know who it wont be, and that's me. Both Henry and Ken seem to be hot on the trail so I'm sure it wont be long. On a personal level, I'm pleased to have bought my wife Cathy home from the hospital on Wednesday. Tbh, it was getting a little lonely just the dog and I, he's good company, a little short on conversation though. We made a quick trip back to the hospital for a check up today and, touch wood, all good so far. Here's the watches that told my time this week. Last weekend, time to charge up the Landmaster. These early kinetics don't shut down when you pull out the crown, so require regular charging. My Blue Esel on Monday. A bit of Elegance on Tuesday. My DS 40 accompanied me on Wednesday. 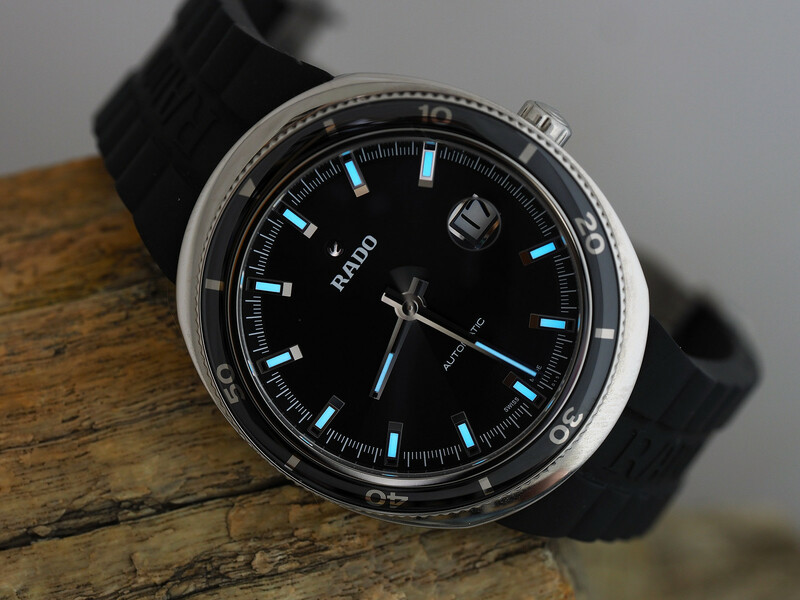 Thursday I wore the second Rado I bought, a DS1. And today some reflections of my backyard on a Summer's afternoon. Have a great weekend everybody. Great to hear that your better half is making a good recovery mate. I can totally relate to the difference of just having a dog in the house, the novelty soon wears off. 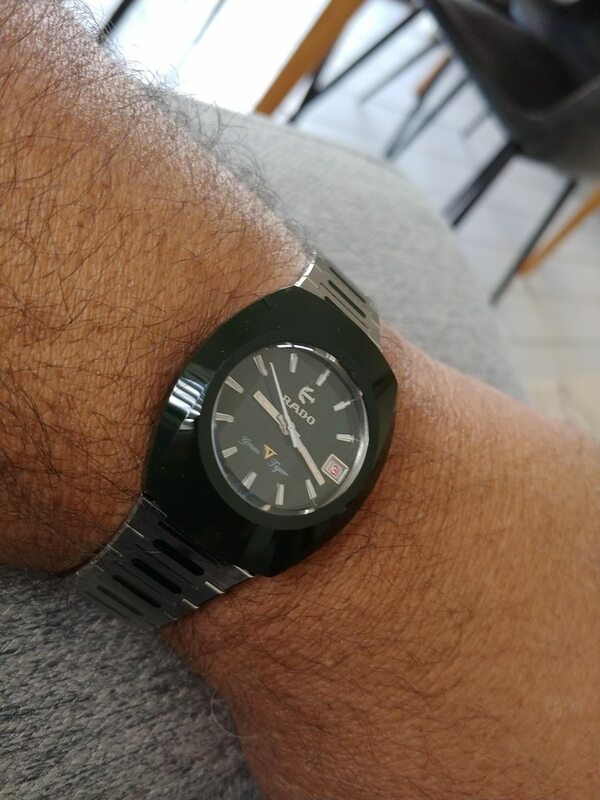 My choice of your week of watches is my old favourite, it makes me very happy to see it getting some sunshine. 704EB6CF-AC64-4C5F-A7E6-4D7CCE99720F.jpeg Glad to hear your good news Tim. I have been with these two vintage pieces this week. 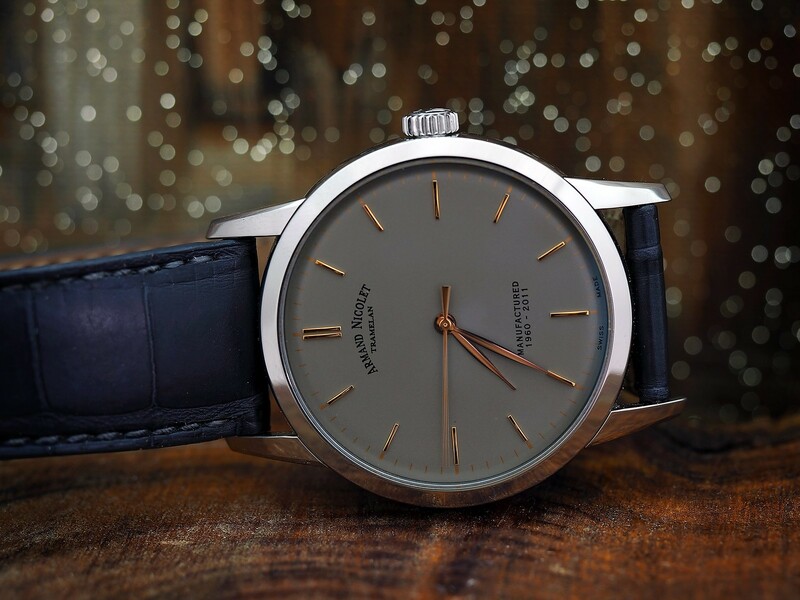 Possibly worth a separate thread but the dial configurations on Manhattans Vs appear to be numerous, specifically the location of the word Manhattan. On your middle pic, that is the first time I have seen Manhattan positioned immediately below RADO (I think). I'm glad to hear such good news Tim. This one followed me around all week, sorry for the dust particles. Good to hear your wife is getting better, Tim. Great news Tim about your wife Tim. While I do really like the CC Mk II V2 I am disinclined to pay $2800 CAD for it. Compared to what I paid from an AD for the CC Mk I that is way too much and as I wrote to Yokied the other day, I don't think comparable deals would be available. Even if they were it is still a lot more money. I am currently pretty happy with the crappy-ish CC MK II. Mrs. K does think I should collect all the variations of the Captain Cooks but I don't feel that is necessary. Wednesday a recycled pic of the Hyperchrome. The asking price of the CC MkII is the same as this was. Today 38mm two tone Starliner. Another great sow of beautiful Rados here today. This is how my week panned out. 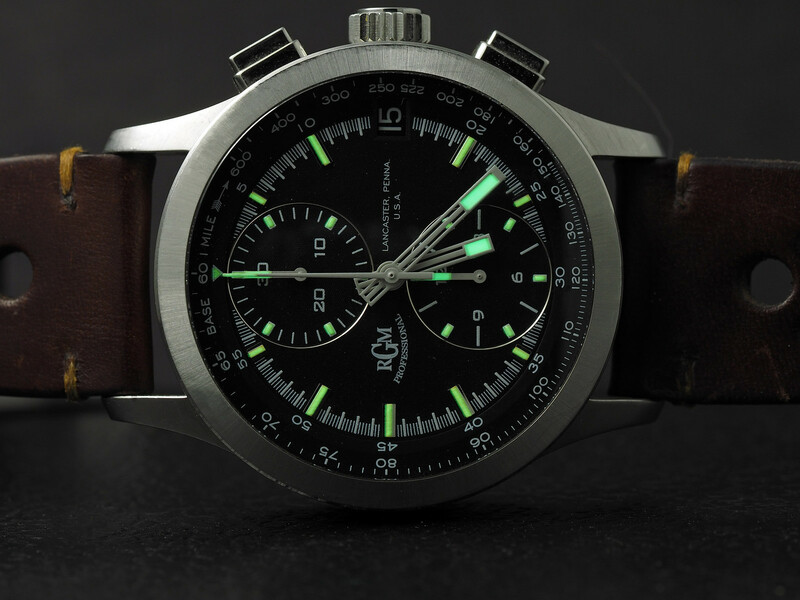 Tuesday brought out the seldom seen Mk 1 Eiger. Blue Diastar 1/E for Wednesday. My Dad's eldest brother passed away on Boxing Day, leaving only two of the original five siblings. It was his funeral on Thursday and, as my father was unable to attend due to ill health, Mrs C and myself took on the 350 mile round trip to represent our branch of the family. The journey had to be completed in one day so that I could return to work today. 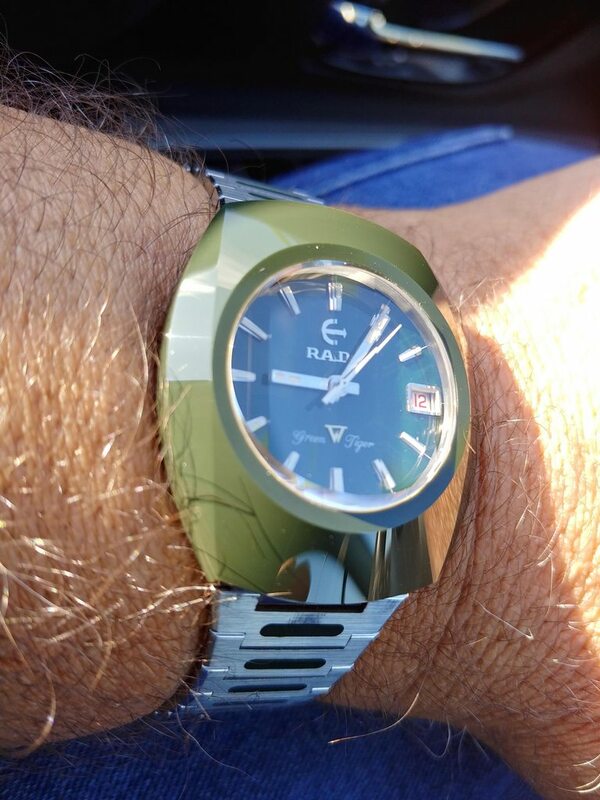 As such, I didn't take a wrist shot but decided to wear the same watch today. 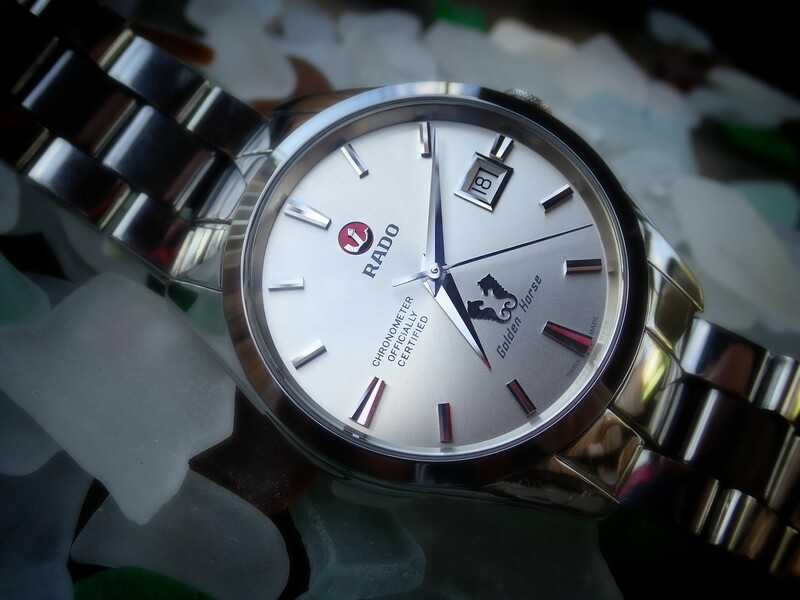 What's not to love about a watch that can get trashed while digging the garden but then clean up well enough to wear to a family occasion? 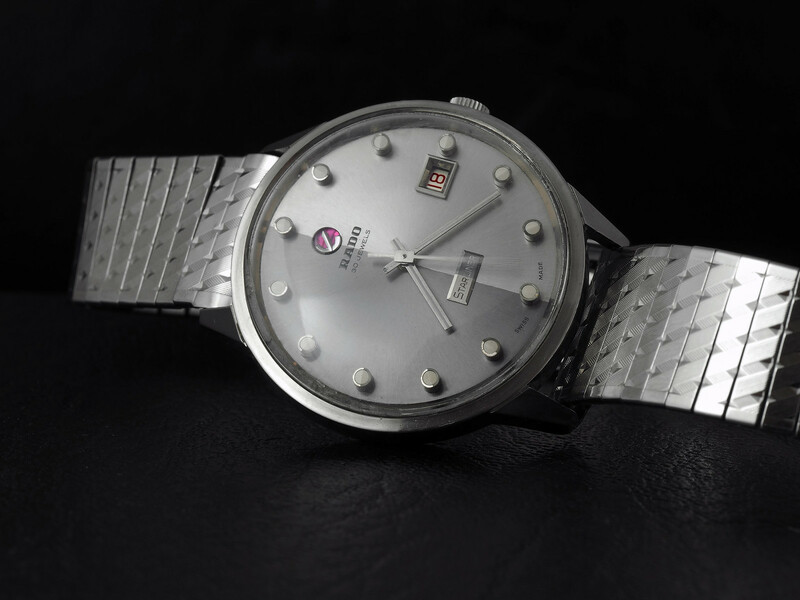 Such a watch is the Diastar Original XL. Too true. I can't remember what my steel version was like, but I think my gold Manhattan Deluxe had a different combination again. Scott's favourite Diastar for me this week. I am a fan of the Manhattan Deluxe when others wear it and I love this one. I hate them, except my old gp one, on me. Funky markers, dial lines and bracelet all the way.